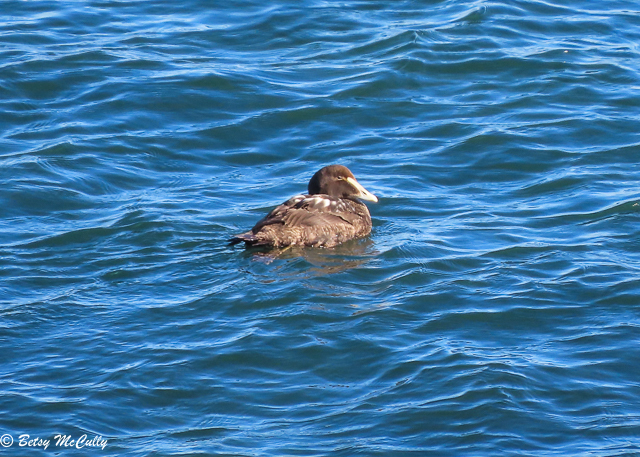 Common Eider (Somateria mollissima). Juvenile male. Oceans. Winter visitor but may remain all year.